The 2019 INFINITI Q70L is a full-size luxury sedan built for the families who need more space to stretch out. An extended wheelbase ensures the maximum amount of legroom. While the new Q70L is built for everyday comfort, it offers more than just relaxation on the road. You’ll love its seductive styling, sporty performance, and long list of premium features. Let’s take a closer look at what the 2019 INFINITI Q70L brings to the table. INFINITI gives you two exciting engines to choose from. A powerful 3.7-liter, V6 engine comes standard. INFINITI’s VVEL technology helps it to smoothly develop a formidable 330 horsepower and 270 pound-feet of torque. A quick-shifting, seven-speed automatic transmission comes standard. While the V6-powered Q70L is powerful enough to keep most drivers excited, the available V8 engine triggers an even stronger feet of torque. A 0-60 time of 5.5 seconds proves that the Q70L can move out in a adrenaline rush. It’s rated to produce an exhilarating 420 horsepower and 417 pound-hurry. Athletic handling is yet another one of the sedan’s highlights. It has the reflexes of a genuine sports sedan. Great front-to-rear weight balance enables you to attack curves with an extra measure of confidence. INFINITI’s intelligent AWD system is available as an option. On the inside, the 2019 INFINITI Q70L provides a wealth of passenger space. In comparison to the standard Q70, it provides an additional 5.5 inches of rear legroom. According to Edmunds, seat comfort is a definite strong suit for the new Q70L. Attractive features make the sedan an even better value. For no extra cost, you can add the popular Essential package. It comes with an 8.0-inch InTouch infotainment system, a 10-speaker Bose premium sound system, and a 360-degree parking camera. Available as an option, the 16-speaker Bose Studio Surround sound system promises to leave every music fan in awe. Meanwhile, up-to-the-minute weather and traffic updates are provided by the available navigation system. When riding in the new 2019 INFINITI Q70L, you’ll enjoy top-notch impact protection. However, you can further enhance your family’s security by adding INFINITI’s ProActive safety package. It equips the Q70L with a number of driver-assist technologies. Predictive Forward Collision Warning can actually anticipate an accident two vehicles ahead. Some of the other advanced driving aids include Forward Emergency Braking, Backup Collision Intervention, and Blind Spot Intervention. If you demand an extra degree of comfort, the 2019 INFINITI Q70L won’t leave you disappointed. 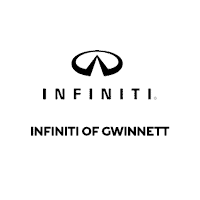 To experience just how well the new Q70L performs on the road, contact our INFINITI of Gwinnett dealer to request a test drive.